Here is my current take on NNVC. The chart below is pretty persuasive that we are in a third wave advance of some degree. 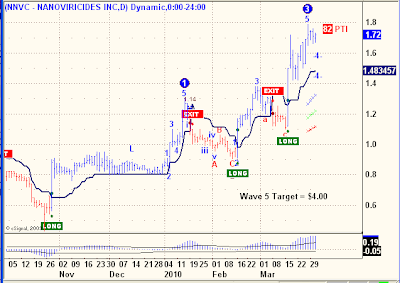 Note how the Elliott Oscillator in the bottom panel is confirming the wave count on the chart, with both prices and momentum at or near new highs for the entire six month rally. Also note what appears to be a series Waves 1 & 2 Up from the late October, 2009 low. Needless to say, the Daily Trend Model is solidly up with its reversal well under current prices. An objective risk/reward analysis based on this stop is that there is about 25c of risk against a potential $2.25 reward, almost 10 to 1. What can be a catalyst here? Any number of fundamental events as there are many different irons in the fire for NanoViricides. But I see little reason to complicate the analysis with speculation, the chart speaks for itself. really i have lost some shares at $1.22 and $1.17 how come i can get them back? any technical s for GNVC available so far? "A failed trial on a pancreatic cancer drug sucked the life out of GenVec shares Tuesday, but the steep decline may be setting up an attractive entry point for investors if a separate collaboration with Novartis works out." Correction: dbl top day before yesterday! Support just under $2.00 if it breaks look out below! I agree with the need to watch ISCO...not out of fear of any collapse...but for a best entry long....looks like the 2.00 area. see if theres any bad or good news about ISCO on the horizon. Am looking to add more shares to NNVC. Seeing as up in wave 3 would it not be prudent to wait for the wave 4 pull back before acquiring more? Thats what I'm doing,Mike...but I also respect Allan's trading approach as well. but in other stocks I hit a few homeruns that his system didnt jump on. 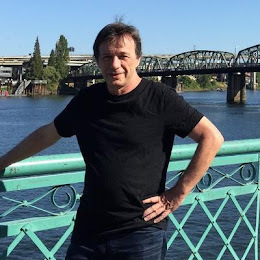 I subscribe to the FFT newsletter at http://www.forecastfortomorrow.com that guy is calling for a bigger event to come in the next few months. If you look back he has been spot on with things over many years, and someone that should be listened too! IMHO this greece debt thing and commercial real estate thing could be the next thing to blow up in the US governments face. Time will tell. Interesting comment about the forecasters thoughts. Astrologically there is a critical stress time zone in late june and late july. that might be a forecast for major geopolitical /economic trouble. It has me watching out for it. Astrologically too, as Venus enters Taurus this week it brings a need for high-quality, practical investing. It may be a time to steer away from stocks like NNVC. If you look at the star charts, NNVC has peaked during the emotional phases of the Zodiac, and regressed during the rational ones. So it looks like April will be a down month for the stock. and maybe there's nothing more practical than being in on the ground floor of a major new way of treating viral illnesses. Sounds pretty rational to me. I'm not sure I agree with the comment about venus in taurus and NNVC and april being down. The next timing for that aspect is late june and late july. 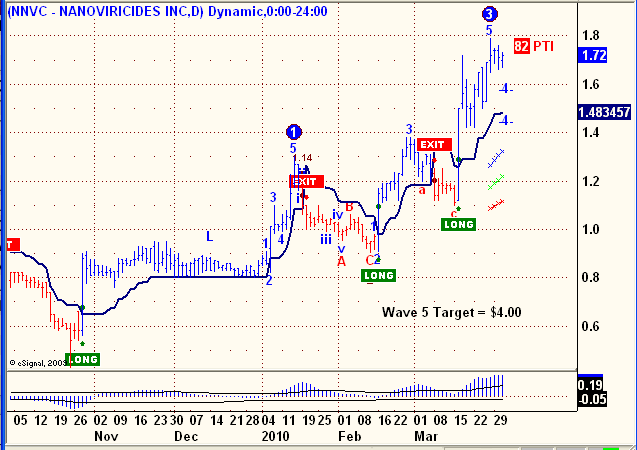 As for NNVC ,the chart shows what Allan said, a wave 3 completed ,wave 4 ongoing, waiting for wave 5 up.